Pink Ink and Polka Dots: Miss Kindergarten: 300 Followers Giveaway!!!!! Miss Kindergarten: 300 Followers Giveaway!!!!! Loving this giveaway over at Miss Kindergarten! Are you in need of a great handmade sign to perk up your classroom door! If so, you must run over to Miss Kindergarten's blog and enter to win one of her amazing signs. You won't be sorry! Miss Kindergarten: 300 Followers Giveaway!!!!! : "Wow! 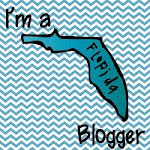 I can't believe my blog has over 300 followers! This definitely calls for a celebration! In honor of my new followers, and just becaus..."